After their sold-out UK arena tour and an acclaimed performance at Glastonbury in the Sunday legend's slot, ELO have announced they will be playing at Wembley Stadium on 24 Jun 2017. The band, known for their global music success all over the world with songs such as ‘Evil Woman’ and ‘Mr Blue Sky’, are set to play for one night only, suggesting no other dates will be added. The gig announcement comes at a good time for the group, after the one millionth sale of All Over The World – The Very Best Of Electric Light Orchestra and the success of their new album Alone in the Universe. Known for their original style and delivery, ELO have had an incredible 26 UK Top 40 singles making their content some of the most iconic music over the last forty years or so. Ticket holders will be praying for better weather than ELO endured at Glastonbury. 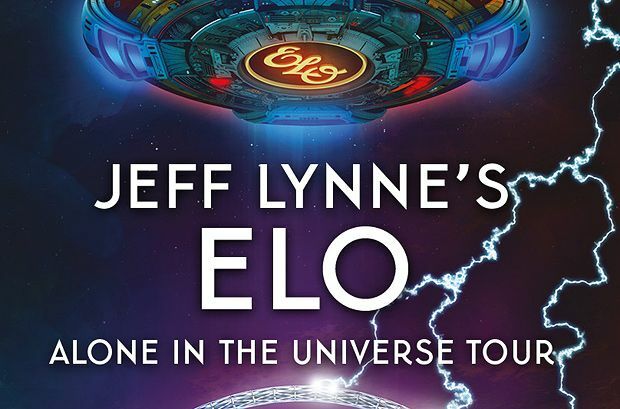 ELO frontman Lynne and keyboardist Richard Tandy play their back catalog of hits.